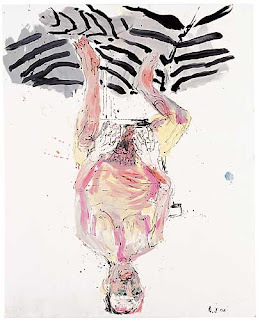 Mister Baselitz turned 70 this Wednesday wich was celebrated in the CFA gallery Berlin with a duo exhibition with Johnathan Meese who as a coincidence has his birthday at the same day. 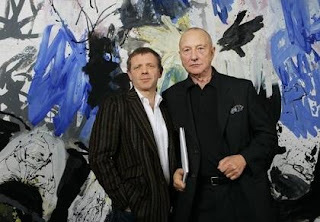 Beautiful Paintings though by mr. Baselitz ! and i must admit two very good sculptures by Meese. sadly too crowded to make pictures of the work. Nice to join this media event though!